WP Project Manager Pro comes with a Files Manager that takes complete care of your files, documents, and images from one place. Create and attach documents, save links to web pages and files, and manage everything from one page. Click on Attach a file button and choose the file from your computer. You can add multiple files at once, choose more if you need to. To proceed with uploading, click on Submit. You can also make this document file private by checking Make this private before creating the doc. At the top right corner, you will find all the 4 options again. You can upload files, create folders, docs, and linl to docs, the same way you do in the Files Manager home. For example, click on + Upload a file. A file upload tool will appear. To make it private, check Make files private. When you click on the file now it will take you directly to that link. Write down the comment on the comments section. Click Add Comment to save. After enabling or disabling the options, click on Save Changes. To do so, click on the file/doc, a preview of the file will appear. Click on the Download button to save the file and create a backup. With WP Project Manager Pro 2.0.8, users will be able to upload videos on the files tab, as well as on comments and messages. Free users will be able to upload videos on comments and messages. Admins need to change the file megabyte size from wp-admin→Project Manager→General Settings in order to allow more files to be uploaded. The default size has been given as 2MB. In order to allow team members and users to upload more files, the size needs to be increased from here. To upload videos in Files manager, simply click on Upload a file, then click on Attach a file, then select your video. Then click on Submit. 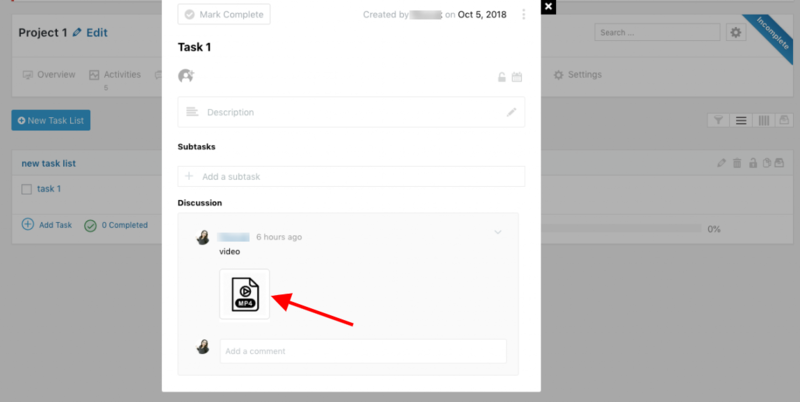 Similarly, to upload video in a task comment, click on the Attachment icon, then select your video file, then click on Post Comment. You will need to write some text too in order to successfully post your comment. 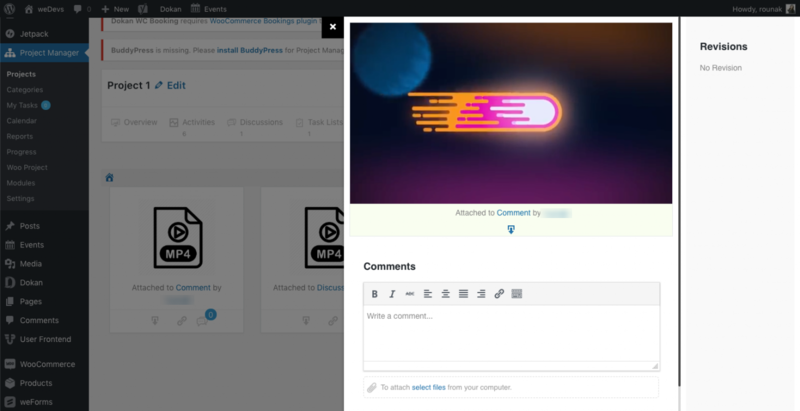 In the same way to upload a video in your message under Discussions, open a discussion, click on the Select Files button underneath, select your video, then click on Add New Comment. 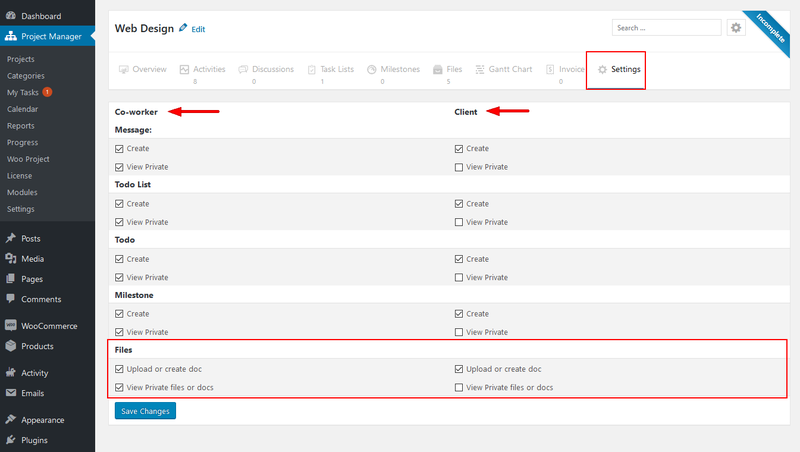 If the files supports HTML 5, admins will be able to view the file directly from project manager. If the file doesn't support HTML 5, the file needs to be downloaded for viewing.